"Hey All, please visit our facebook page too for current updates and interesting ideas shared. . .. .
T.S. 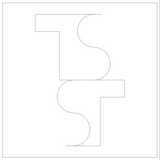 Space Transformations is a firm dealing in architectural and interior design. The primary objective is to provide design as well as complete turnkey solution for a project from concept to building. The focus has been on "TRANSFORMING SPACES" around a user. We believe in working on smallest detail. There has been a special interest in executing woodwork for different projects. Custom designing is key feature of Our work philosophy. The company has been doing residences, offices, factories, exhibition stalls and custom designed woodwork. We are based in Delhi-NCR.